Sensory Play is Learning Play! One of the most awesome things I have found about teaching Liam at home is the ability to try anything and everything. The sky is the limit when it comes to hands on sensory activities especially for a little boy who requires a great deal of visual and tactile stimulation. Sensory play began when he was just a year old and three years later sensory play is a huge part of our daily structure. There are no limits at home, no set times, no level of mess is too much if we are learning and playing. 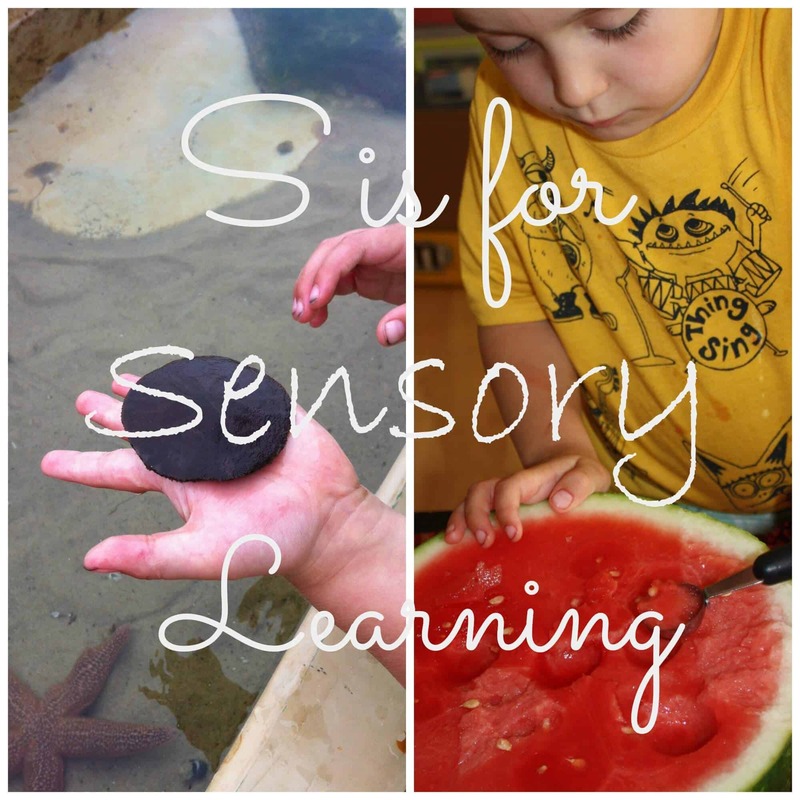 Continue reading about how we use sensory play for learning over at My Joy Filled Life! I have compiled sections for many different types of sensory play! From the Alphabet to Science Experiments, it’s all included! We are participating in the ABCs of Homeschooling with the letter S.
Check out my awesome ultimate sensory play Pinterest board for ideas. I guarantee you will find one that suits your needs!